This Sunday morning I had breakfast at Cathy's house in Pleasant Grove on Prince Edward Island. 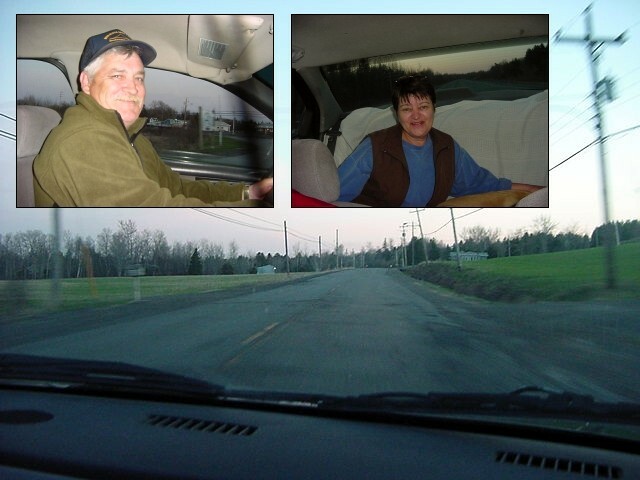 As Cathy had to go babysitting and I was about to leave the island, Lynn Hufnagel picked me up and took me back to her home in Stratford around noon. Like most of weekend days Joe was working on the basement reconstruction. I could join the couple for lunch just before heading of to the centre of Charlottetown. Before I was going to leave the island, I had one more thing to do. It was a lady from Ottawa who told me by email about the existence Canadian Kids Help Phone. The Kids Help Phone is the only national, 24 hour, toll-free phone line and internet counselling service for Canadian kids ages from 4 to 19. Every day, this line answers approximately 1,000 calls and online questions from young people in almost 3,000 Canadian communities who are looking for information, support and guidance. No issue seem to be too big or too small. The professional counsellors help young people by talking with them on the phone or answering their questions online. The line is often the first point of contact - and sometimes the only - for callers dealing with abuse, violence, addictions, suicide - the list is endless. Now that was really interesting. Kids Help Phone believes that every child has a right to be heard, a right to access resources and a right to self-determination. Kids Help Phone is committed to the protection of children against abuse through education, prevention and intervention. This lady had hoped that I would be in Ottawa on May 4 so I could come with her and participate in the Bell Walk for Kids (Bell Canada is a national phone company) in support of Kids Help Phone. "You may not be in Ottawa," she wrote me, "but you may be in a city that has a Walk. Maybe your hosts will already know about it, maybe they might want to come along." And according to the website I discovered that there was a Walk for Kids in Charlottetown today. So I registered myself on this website as a walker. I simply thought that any 5km walk would do me good and when I would have the time in the afternoon: why not just join in? I got myself a personal pledging page of the Walk for Kids-website and within only the two days I had a little note on top of this website, I collected some little $50 from various contributors. It's not much, but at least it covers the costs of about two hundred phone calls to the help line! Lynn could drop me off at the starting point of this walk, right in town at the Confederation Landing Park. I would join this walk, then head onto the highway and try to hitchhike to the ferry point southeast at Wood Islands. The ferry would cost $12 for pedestrians or nothing if I could sneak into somebody's car. I just hoped this all would work out. I thanked Joe and Lynn for inviting me on the island and letting me be their house guest for those few days. I gave Lynn a good hug when she dropped me at Confederation Landing. My email friend from Ottowa told me it would be good for an interesting story "about someone travelling in a country that is not theirs and experiencing things that are part of the community where they are! I think it would give you insight into a different aspect of Canadian life." And she was right about that! I reported myself at this desk and they wrote down what I got in for the walk, the $50. I was also given a water bottle, and one of those small change things you can hang around your neck, and a 5-minute calling card from Bell as rewards for joining in. When I arrived there, just after 1 in the afternoon, is was very quiet and I actually thought there would be more dogs than participants on this walk. But at 2pm some 150 people had gathered together when the walk officially started. One of the organisers of the walk, Carl Bagnall, did a little speech and not only mentioned the participation of the Charlottetown representative of the Canadian Parliament Shawn Murphy, but also named me as a famous traveller. "Let's welcome Ramon here, he came all the way from Denmark!" "Oh yes, he is from the Holland!" The local press photographed me with the Member of Parliament and the start sign was given. So what is a walk all about? Just what it says. In this case, in Charlottetown, it was a walk on the boardwalk along the water, some five kilometres back and forth. And everybody joined in just for the fun of it! The sun was shining bright and the sky was all blue. This was a lucky day for such an event. I actually wondered if I was overdressed with a shirt, sweater and my winter jacket! During the walk I started a pleasurable conversation with a lady named Brenda, one of the other walkers. She asked me about my travels and explained her the entire story. "I'll have to tell my daughters about this!" And as we walked up and down the track, drinking free bottles of water that was passed out every kilometre, she told me about her travels through Europe and we expressed our concerns about the neighbours of Canada for another while. When she asked me how I was going to the ferry today, I told her: "just hitchhiking. I walk to the bridge and hope to get a ride to the southeast point of this island, before the ferry leaves at 5.30pm." "Why don't I drive you down there?" she said. I was lucky! "I don't often get to meet a person with such a good story and such a pleasant life style," was her great excuse for helping me out. It was just after 3pm when we returned back at the start and finish line of the Walk for Kids. Dogs passed out on the grass, the last water bottles were passed out and chocolate bars and candy was passed out to everybody. I finally took off my jacket and my sweater just to get some fresh are and it was then when I discovered my back was just soaked wet! I couldn't believe it! That might have been why I had been drinking water that much! Some of the people really were amused by this. Just at the time I wanted to make a cynical remark about the fact that I was not told to bring extra dray clothing to this walk, the folks of the organisation gave me a Walk for Kids t-shirt. I was sincerely thanked by the people for joining the walk and helping out the phone line. Meanwhile Brenda had gotten her car and was ready to take me along to the ferry port on the other side of the island. I said goodbye to the Walk-people and got my stuff in the car. The walk was not only nice for the good cause, but also did really good to myself. I felt fresh, sporty and I could easily walk another 5km. 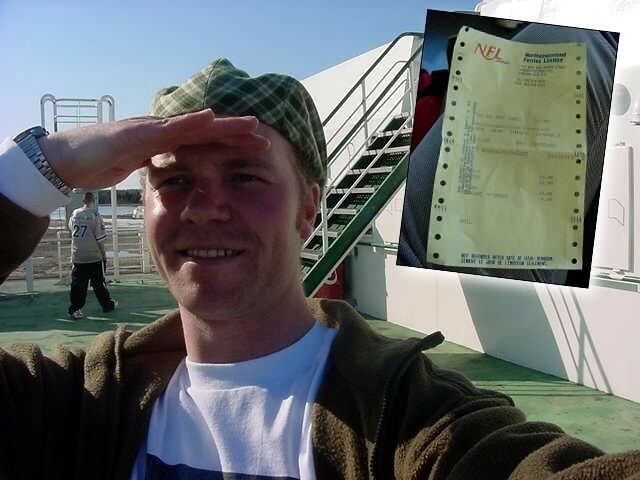 It was when we reached the ferry place around 4pm, that Brenda spontaneously also bought me a walk-on ticket, worth $12. As it was nothing to her, she gave me the ticket. "At least you don't have to beg for a ride as somebody's passenger to get onboard and you know you'll get across the water this way." Why was I that lucky today? I actually asked her that. "What do you think it is yourself?" Now that was good question, I don't often answer my own questions (have you noticed that?). "I guess by being good, you get good?" was the only possible answer I could think of at this moment. Afterwards I could have said "enjoying life is something to pass on to others, and created happiness" or something high-spirited like that. I am just not that much 'bubbly' in public, if you know what I mean. Life is life. I thanked Brenda for the ride and her support and settled myself in the grass outside the little cafeteria/souvenir shop/waiting area. The weather was just too good to wait inside. I had a nap in the sun and covered the rest of the 75 minutes of waiting with some tourist brochures I had found inside the waiting area. When I boarded the big four levels ferry of Northumberland Ferries, I said goodbye to Prince Edward Island. It was a short visit, but certainly a very pleasant visit to Canada's smallest province. I was now heading to the south: to Nova Scotia! Nova Scotia, meaning New Scotland, got its name from James I in 1621, at that time the King of England and Scotland. But the original inhabitants of the Miritime Provinces were the Micmacs and Malecites, Algonquian-speaking people who lived a semi-nomadic life based on crop cultivation, fishing and hunting. James I granted Nova Scotia to William Alexander, whose little colony near Port Royal lasted just three years. The French, who once simply abandoned the place before the English arrived, returned back in the 1630's and established themselves with the French colony called Acadie. Claims by the English, Dutch and French were pretty competing at that time. And this was resolved by the Treaty of Utrecht (Holland) in 1713 � when Britain took control of all the Maritimes except Cape Breton Island (east part of the Nova Scotia province) and today's Prince Edward Island � and finally determined after the fall of "New France" in 1759, a British victory tarnished by the cruel expulsion of the Acadians from their farms along the Bay of Fundy at the north of Nova Scotia. And this little bit of history explains the rapid arrival of immigrants from England, Scotland and Ireland, as well as the United Empire Loyalists who fled America after its War of Independence. The industries of Nova Scotia have always been agriculture, shipbuilding, and fishing, until the shipbuilding industry collapsed and the entire region fell into a giant and dreadful recession. Since then, in the 1950s, the province largely depends on farming, lodging, fishing and tourism. I arrived on Nova Scotia grounds just after 6.30pm and that's where I called my hosts at one of the payphones. My 5-minutes calling card from Bell came out very handy. My next hosts live inland on Nova Scotia, but when I contacted them last week they told me they could easily pick me up when I would arrive with the ferry. "It is just a 45 minute drive," the lady told me. "We will be there for you in 40 minutes," I was told by Audrey Bailey, who invited me over at her home in Truro. Truro is known to be the main transportation hub in Nova Scotia. 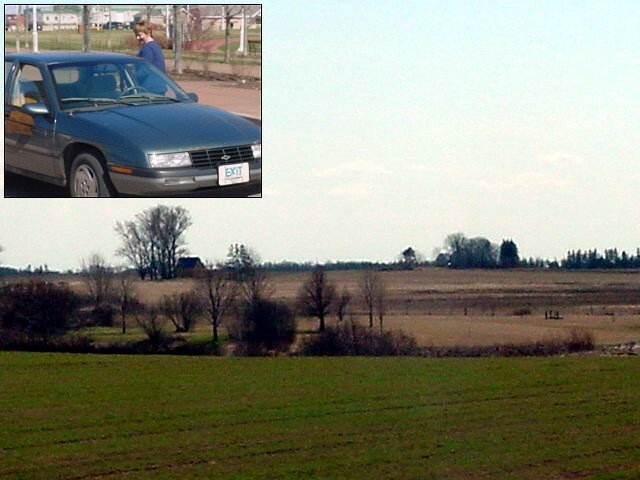 Whenever you travel to or from another province, you will always pass through Truro. Not else is known about Truro yet. It is just a place I could not avoid myself either, hehe. So I sat down and waited as I saw the sun go down in the west. I was in position to say something when I met up with Audrey and her husband Blaze some 120 minutes later. "We always do things at the spur of the moment," Audrey told me when we were on the road to Truro. "And we are always too late, just like now. Sorry about that." It was when I pulled out my camera for a photo, that Audrey asked me what I was doing with that. This amazed me again, because I always take photos on the road. Didn't they know? They didn't. "You really don't have to take photos of us, really!" Audrey explained how she got in touch with me through my website. "One day I was watching TV, not paying much intention and then I saw you and you said you need a place to stay. I visited your website and simply invited you over. We like visitors. Our door is always open to other people." "I never seen the rest of your website," Audrey confessed, "there is just so much on there! When I got your email last week, I looked at it the first time." But than again, when I asked them if she had seen some of 7,000 photographs or 500 reports, she had never seen one. That kinda explained their surprise of me taking photos of them. "We just invited you over, that's all. Just don't expect too much from us," she said. "We are just ordinary people." That's after I � for a good feeling � explained them my entire project. "That's totally alright," I told her. "I travel to report about the ordinary people I stay with, that's what it is all about." Audrey is a counsellor at the local mental health clinic in Truro. I immediately asked her if she could help me too, as many friends of mine told me to find mental help when I got the idea to start letmestayforaday.com. But there would not be a place for me! Sorry. "I am in a program where I help controllable schizophrenic patients to prepare themselves to get back into civilization again. You know, schizophrenic people see things, hear voices, etcetera. And with the right medication and therapy this is all controllable by them. And then it is time to continue with their usual life." And Blaze? "I work on the power lines," he proudly said, pointing out the poles along the road and the various wires that run along every strip of poles in the country. "We put poles in the ground, hook up the wires and connect new homes on the electricity network." When we arrived in Truro, or actually a little suburb of Truro named Bible Hill, I was offered my own bedroom in their spacious house. I was a little bit disorientated about the fact that the walk from the entrance of the house to my guest room took a few minutes! "Just make yourself at home here," Audrey said. "We are ordering pizza tonight, is that okay with you?" Sure! She made me very relaxed and when I met up with their son Dwayne, I was helped to connect my laptop to their cable connection with all care. The pizza had arrived and we were all munching away corners of it and Audrey had bought a two litre bottle of pop (the name for popular drinks like Pepsi, Coca Cola, and etcetera) for me. And before I was finished, Audrey was already asking if I wanted more food, or desert or another drink. "Coffee then? No? Tea? No?" Dwayne then told me to tell his mother that 'I was okay and I will help myself if necessary.' "It is a known fact that my mother is pushing everybody to eat and drink more all the time, you'll get used to it," he said. Audrey: "I just don't want anybody to get hungry!" You might already understand from this all that I got pretty pampered here. Dwayne is the family's oldest son, next to two daughters who live in Halifax. Dwayne works for a company that searches for minerals and just three weeks ago he returned from South Africa. It was fun to exchange some stories on life in South Africa, about the unexplainable and unthinkable fear of the white people and about the position of the black population who wants the Apartheid back (because then they at least had a job and a more valuable life. They were the servants of the White World, now� they are nothing). But it wasn't early in the evening anymore when all the food was eaten and the drinks were empty. Blaze called off for the night as he had to wake up at 5 o'clock in the morning to be on time at a location in Halifax. Audrey also wished me a good night. Dwayne hung around for another bit, watching television in the television room and I actually occupied myself with stuff to do on the Internet. I am yawning myself. I will be heading off too, I guess.